This won’t be to retail for about 10 months? I'm hoping that the pads Vasy's wearing have a color zone not being used. I understand Bauer's going for minimal these days, but those four little stripes are not enough color. And the heart guard looks like it could stop a missile! I talked with a Bauer rep about a week ago. 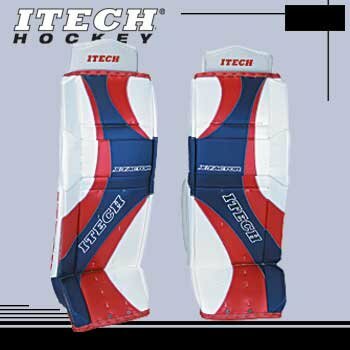 He said that the pads were vasys custom graphic. Looking at the chesty it might be true but the guy was a player skate rep so no clue if he knew what the graphic would look like. I don't know man. The way the Bauer logo is placed on the face of the pad makes it seem like it was specifically designed that way to showcase the name. 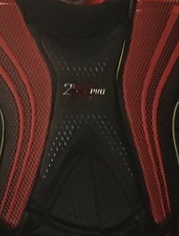 Most of the custom Bauer pads look to have the name on the outer roll and not in the same angle as the graphic. 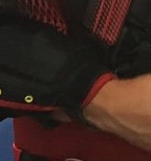 I love the new pads and the new chesty but has anyone else noticed the 2X stick yet? @Jacob Musselman @Awgoalie164 I think that's a stock graphic. Check out how the pebbling lines up with the graphic. Why would they go out of their way to add texturing for a one off digital graphic? I could see be a "glow" or gradient effect surrounding the four spikes that fades into white where the Bauer logo is. It would kind of echo the 2s stock graphic. 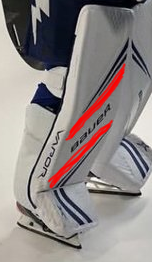 I can't tell if it's a shadow but it definitely looks off-white around the edge of the spikes towards the Bauer wordmark which reminds of how they slightly tint the colorzone when you order an all white OD1n pad. 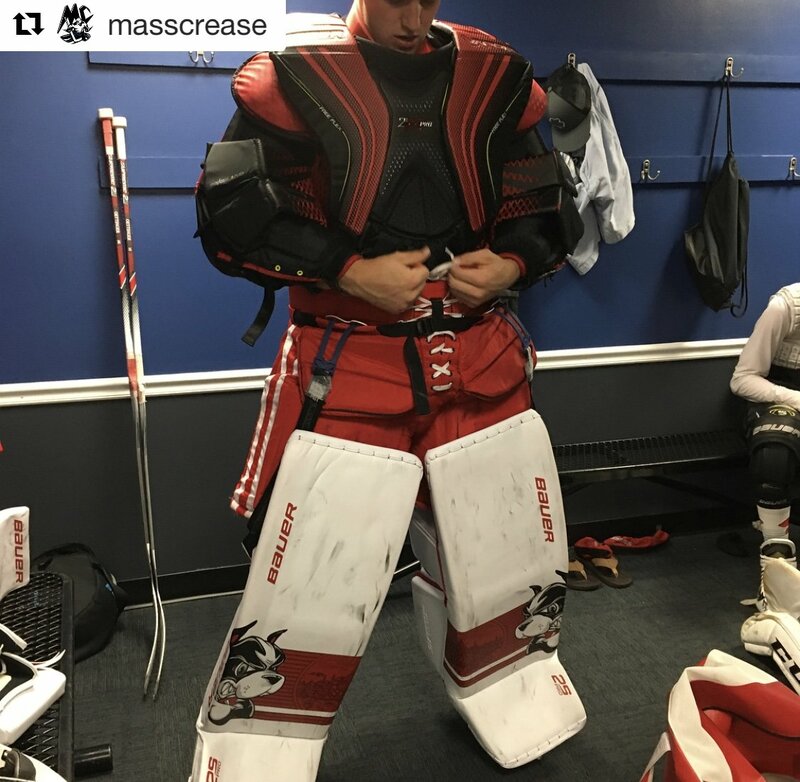 I have a feeling there are unused color zones on Vasi’s pads. I’d imagine a fully customized one could look sorta like this? Yeah I'm thinking that area between the spikes has a gradient zone that's not being used parallel to the inner spikes feding inward toward the logo. That would make it look like the 2s graphic except in an 'A' shape instead of a 'V' and with the gradient on the inside instead of the outside. That might even be a solid zone, but Bauer loves gradients to show off the digital printing. Thats Reimer right? Ik he had used the reactor skinned as a 1x last year, so that might just be the graphic. Also, since its called the 2xPRO, im assuming their will be a Senior Pro 2x, like the 2s, right? Really like his graphics on these. 2. Is that a 2 piece? Doesnt the equipment break down after a given time amt? 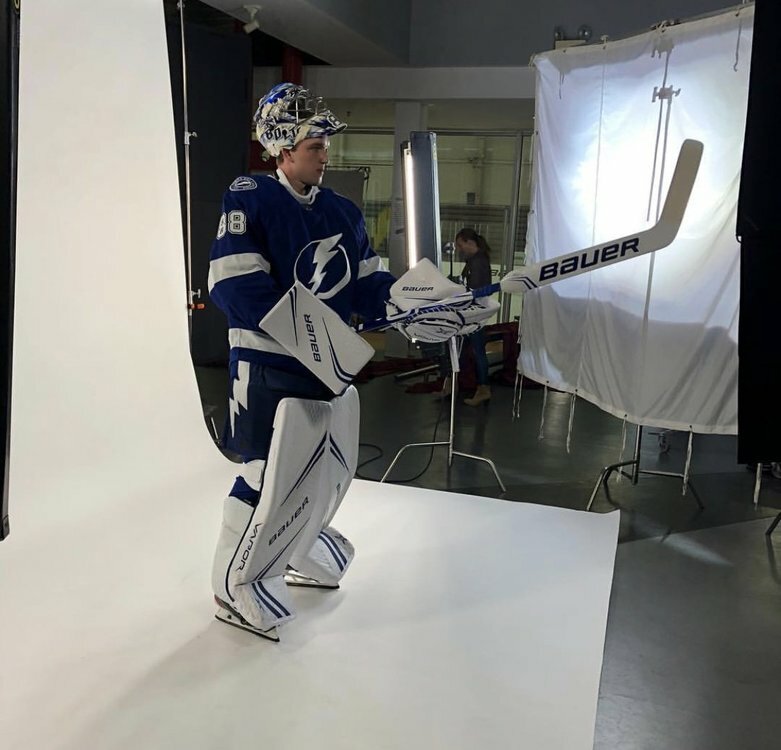 Looks like we were right that Vasy has an unused color zone on his pad. 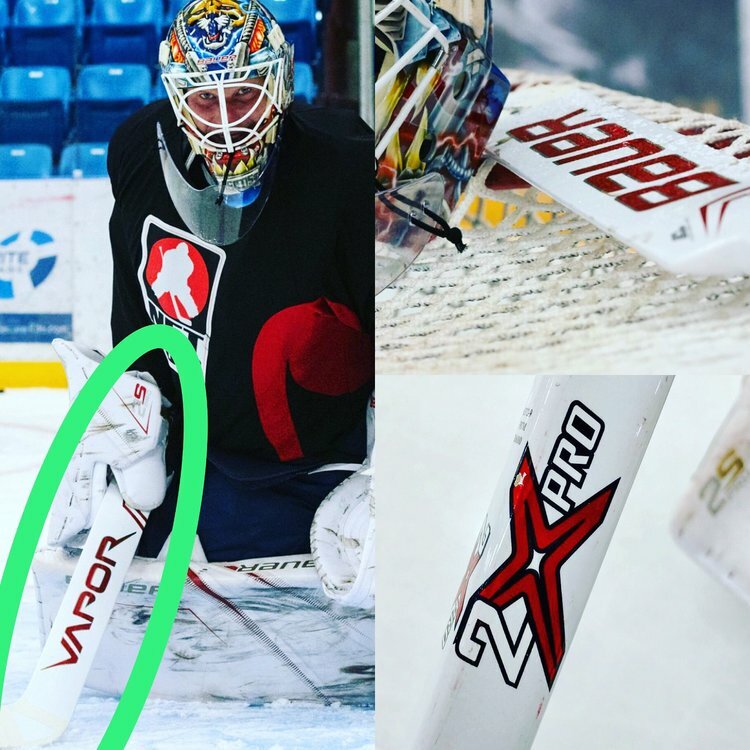 Markstom’s sneak peek (assuming it’s a stock graphics) shows the same spears as Vasy’s set, but with a stylized gradient surrounding the Bauer logo.